In The Works is presented monthly and features three composers or composer teams, each presenting about 20 minutes of new material. 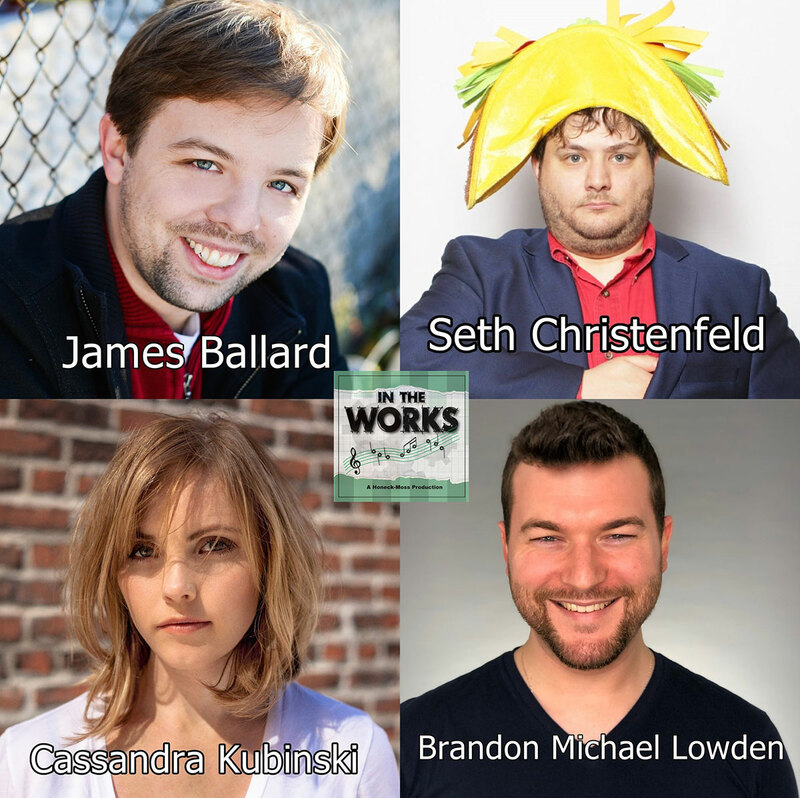 This month features the works of composers: James Ballard & Seth Christenfeld, Cassandra Kubinski, and Brandon Michael Lowden. Hosted by: Thomas Honeck. With Performances by: Christiana Cole, Tony Daniels, Amy Englehardt, Sam Heldt, Apryl Higgins, Hannah Mount, James Penca, Aaron Phillips, and Hana Slevin.